The General Overseer, Redeemed Christian Church of God, RCCG, Pastor Enoch Adejare Adeboye has unveilved prophecies for 2018. 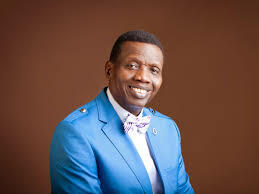 Adeboye while speaking at the crossover service at the Redemption Camp, Lagos-Ibadan Expressway on Monday morning, Adeboye prophesied that before the end of 2018, there would be rays of hope that all would still be well. The man of God also prophesied that significant Goliath would fall this year and that erstwhile stubborn mountains would move before the children of God. On the international scene, Adeboye said there would be less fire outbreaks, but more floods globally. He also prophesied that there would be misunderstandings among nations of the world, but said there would be no war, while calling for prayers against assassination attempts globally. However, during his sermon, Adeboye said this year would “be your best so far in Jesus Name, Amen. In the Name that is above every other name, you will be world shakers. “The Devil knows it that you are more than a conqueror. One of the biggest problems of children of God is that the Devil believes God more than them. there will be more floods.